Bishop Andrew Gulle, he leader of the East of Lake Victoria dedicating a well in Mwadui Tanzania in June 2010. 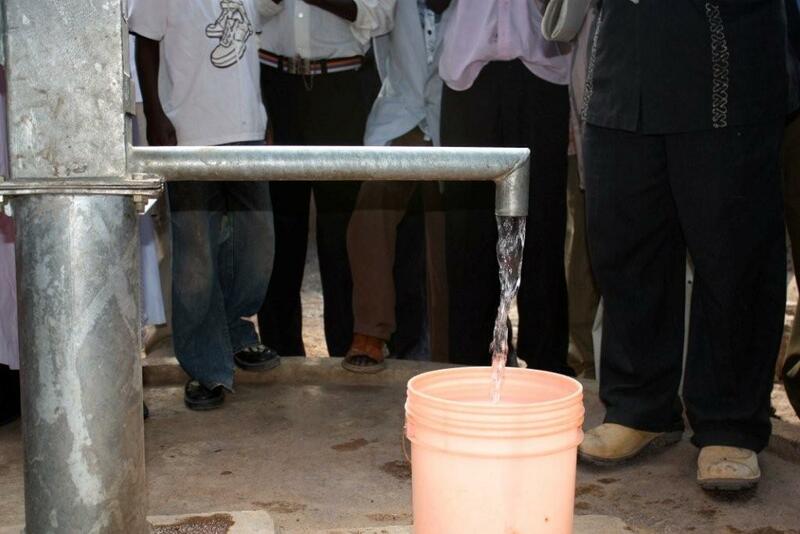 As the result of this well, clean water is readily available. This well was made possible through the generosity of the Hearts of Jesus program of the Mid-South District LCMS. Wells were dug in two other locations in the East of Lake Victoria diocese. The well in Mwadui is located next to the church and in the middle of the village. So convenient.